Being a co-founder of Apple, you’d of course expect Steve Wozniak to have an iPhone. Indeed, the man—who incidentally hasn’t worked for the company for some 25 years—is famed for waiting in line for hours at the launch of every new Apple smartphone. Wozniak, on the other hand, appears to be a little more diplomatic about the iOS rival. 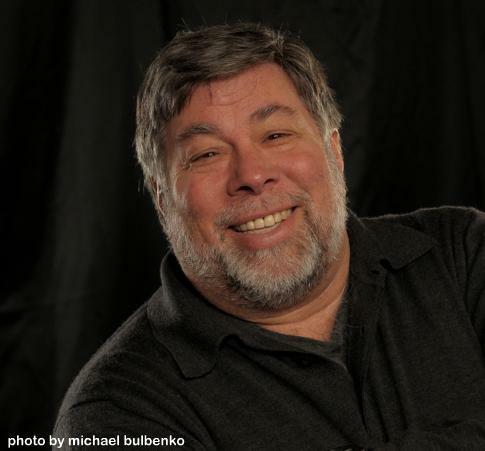 In the interview with TDB’s Dan Lyons, Wozniak said, “My primary phone is the iPhone. I love the beauty of it. But I wish it did all the things my Android does, I really do.” Phew, at least he still loves his iPhone, eh? So, what is it about Android that presses Wozniak’s buttons? For starters, he tells Lyons that voice commands work better, as does Android’s built-in navigation system. Voice commands? That’ll be Siri then, Apple’s recently-acquired voice-activated virtual assistant. Interestingly, Wozniak says he’s been using Siri long before Apple before bought it and that since then, it doesn’t perform as well. Despite his views on both operating systems, one thing seems certain: when it comes to getting hold of prime numbers greater than 87, Wozniak will be sticking with his Android device (at least for the time being).